We want to support science and place-based curriculum development about coastal change in Arctic Alaska for youth or regional colleges. Are you an educator or college professor in an AAOKH community? Please contact us to discuss opportunities to get involved in data collection, field trips, or use of data for science education and research. We are interested in working with UAF students from AAOKH communities who can help build links between coastal observations and data with community interests or needs. Please contact us to discuss opportunities. Are you a scientist interested in conducting research based on AAOKH-supported data? Please see our data page and contact us regarding data use and policies. 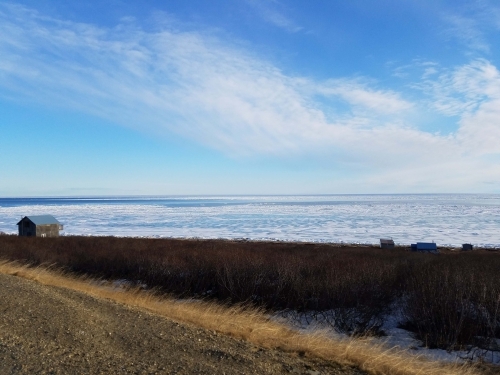 We need your help keeping track of sea ice and permafrost change, and how it affects the timing of subsistence harvest activities and the condition of ice cellars. Billy Adams taking CTD casts near Utqiagvik. 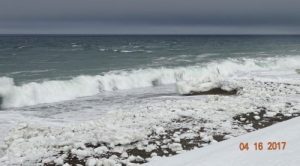 We are building a network of coastal community observers across the Northwest Arctic and North Slope coast. Observations of snow and sea ice changes are shared broadly with other communities and the public. 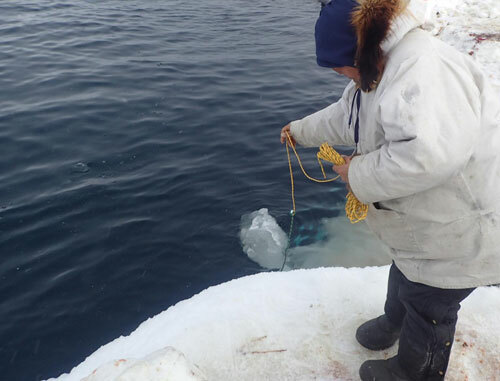 Community observations from AAOKH provide an important link of locally relevant measurements of sea ice and the ocean to other observations made from research ships and satellites. Training and instruments will be provided. Positions pay $700 per month and are administered through UIC Science, with activities directed by AAOKH. Interested? Please contact Science Co-lead Donna Hauser via email or call 907-474-1553.